Last year, Lawrence Block contacted me for a story. He’s one of the writers who inspired me to write, and I keep a signed copy of TELLING LIES FOR FUN AND PROFIT near my writing desk, so I buckled down to tackle an idea I’d been saving. 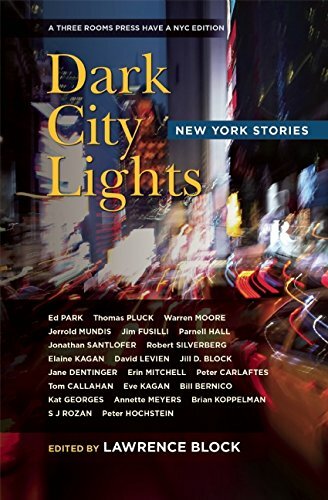 The collection is titled DARK CITY LIGHTS, and my story “The Big Snip” appears alongside work by Jerrold Mundis, Erin Mitchell, SJ Rozan, Warren Moore, Robert Silverberg, Jonathan Santlofer and many more. Three Rooms Press has it available for pre-order from Amazon. If you want to see what 23 writers do when Lawrence Block, the crime-writer King of New York, asks them to write about the 8 million stories in the Empire city, this is the book to read. You can pre-order it from Amazon, or from your local bookstore.